It’s the final post of The Great Read-cession! Just shut up and read! What should the government have done differently? This is a very loaded question. When I first started reading about the issue, while it was going on in 2008-09, I got the sense that this was really a rare case where the government was not at fault. This wasn’t like Watergate or Iraq, where people in power abused that power—it was just a case of private companies going wrong. But it becomes a lot trickier when you look closely at how intermeshed the government and the financial world actually are. A lot of the conversation about the government’s role in the collapse has surrounded the issue of deregulation, specifically the issue of Glass-Steagall. On the other end of the political spectrum, Republicans have focused on the GSEs as responsible for the decline in lending standards. But both of these issues seem more like scapegoats than real sources of the problem. As most of the data makes clear, the Community Reinvestment Act of 1992, which directed Fannie and Freddie to purchase more mortgages from certain minority groups, had very little to do with the subprime boom and decreased lending standards. Fannie and Freddie bonds defaulted at a lower rate than those sold to wholly private firms, and there was clear market demand for housing securities absent any government pressure. The repeal of Glass-Steagall, on the other hand, at least bears some of the blame for allowing companies like Citigroup and Bank of America to get so big. While the law had, since 1933, separated the activities of commercial and investment banks, its repeal allowed the biggest commercial banks in the country to expand their proprietary trading. We’re done with the book reviews, but John S isn’t done breaking down the books of the financial crisis. We still have a few things left to cover, most importantly…. Obviously I wasn’t going to read 16 books and NOT rank them. So, um, whose fault was it? We’re wrapping up the financial crisis book reviews with today’s look at two books on the reform efforts that followed the crash of 2008. The last two books I read focused mainly on the government’s response to the crisis, as opposed to the crisis itself. 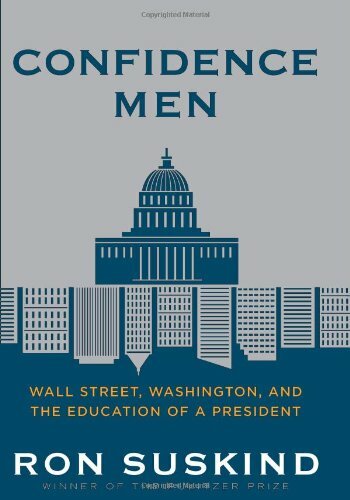 Confidence Men, which got a lot of attention when it came out for its revelations of in-fighting in the Obama Administration, showcases Obama’s response to the financial crisis, both as a candidate and as a new president. As a candidate, of course, the financial crisis and the housing bubble were a boon to Obama. The sluggish economy of President Bush’s last few years helped Obama’s message of change resonate with the electorate, and John McCain’s incoherent response to the crisis—including his assertion that “the fundamentals of our economy are strong” on the day Lehman failed—helped doom his campaign. On the eighth day, John S reviewed two more books of the financial crisis, including the final report of the Financial Crisis Inquiry Report. Having read accounts of the failures of Bear Stearns and Lehman Brothers, it seemed appropriate to read a book about the third investment bank claimed by the financial crisis: Merrill Lynch. 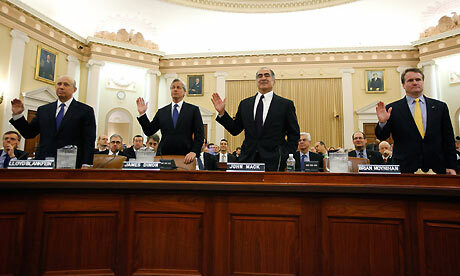 Of course, Merrill Lynch didn’t fail outright—it was sold to Bank of America, making the story slightly more complex. Greg Farrell’s book, Crash of the Titans, is really a soap opera about how two banks ended up in a reluctant and unhappy marriage. The first step towards this malignant matrimony was the downfall of Merrill Lynch. Merrill Lynch occupied an odd position on Wall Street. On the one hand, it’s probably the investment bank normal people are the most familiar with, thanks to its “thundering herd” of brokers. On the other hand, it suffered from a clear inferiority complex for not being as profitable or as elite as Goldman Sachs or Morgan Stanley. It’s Part VII! (Remember, if you’re having trouble keeping up, check here for a complete list of all posts in the series.) Today John S looks at the magical world of hedge funds. 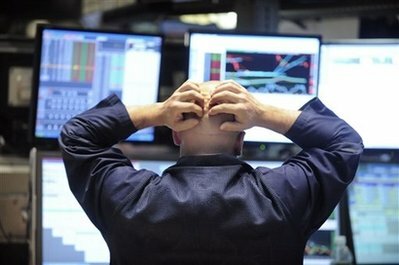 “Quant” is a word that pops up over and over again in descriptions of the financial crisis, but it never really gets defined. It tends to be used on Wall Street the way “sabermetrician” gets used in baseball or “Nate Silver” is used in politics: It just means someone who uses math in a slightly unconventional way while doing his job. Nevertheless, these “quants” were blamed for much of the financial crisis, as those industry “experts” who concocted elaborate formulas showing that housing prices would never fall and homeowners would never default. 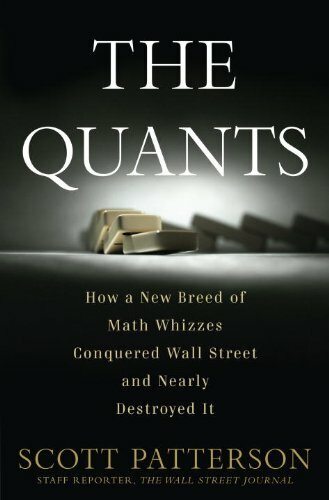 I turned to Patterson’s book to find out who, exactly, these “quants” were and why their formulas—unlike Nate Silver’s and Billy Beane’s—went so awry. We’re up to Part VI, which means we’re over halfway through the breakdown of financial crisis literature. Today John S looks at what might be the best book about the crisis, and what might be the most fun. 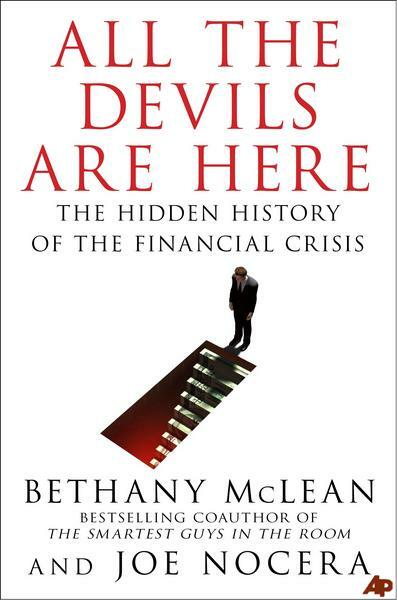 If I had to recommend just one book about the financial crisis, it would probably be All the Devils Are Here. 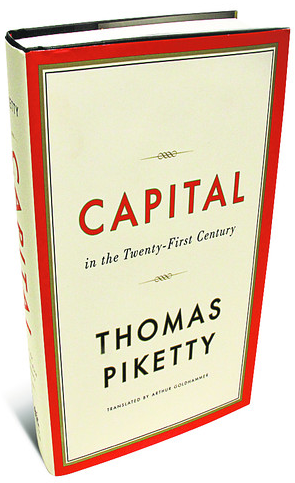 It’s not necessarily the best-written or most thrilling book on the subject, but it’s the most comprehensive, and perhaps the only book that captures just how nuanced the causes of the crisis were. 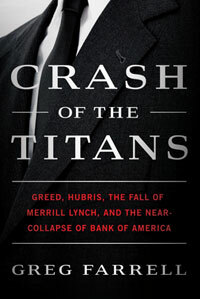 Instead of focusing on one bank or one cause or one period of time, McLean and Nocera trace the origins of the crisis back decades, and examine precisely how things evolved. One thing they illustrate well is how Wall Street tends to create something useful, and then, in the course of trying to find new ways to make money off it, turns it into a weapon of wealth destruction. In the 1980s, for example, mortgage-backed securities seemed like a great idea. Grouping mortgages together into one security allowed investors to introduce capital to the industry without being subjected to the inefficiencies or risks inherent in one mortgage or even one region. They also helped the GSEs’ bottom lines, of course.